I love this app! To the person who had the crash - this is a common problem new in the iOS 4.2 that can happen on any app. Try rebooting the iPad to clear up memory problems caused by other apps. This app is pricey, but my son loves everything ocean and recently discovered the Magic School Bus, so I won't be buying the other ones, but this one was worth it for us. The first night, we spent about 40 minutes reading the book and going through all the interactive features. He wanted to do a couple of them multiple times, but we ran out of time before bedtime. The book can read to your child on its own, but I chose to turn it down and read it myself. He could easily entertain himself with it while we're in a waiting room, restaurant, etc. The only reason I didn't give it 5 stars is because of the price and because there were missing letters in some words in the interactive parts. Once you figure it out it's easy to read, but whenever "fl" and "fi"were used in a word, those two letters were missing. So a sentence about fish on the sea floor says, " sh on the sea oor." Overall it's a great app. My 6 and 5 year old love this "game". I have tried everything and I have yet to see the story. I get the intro then......it crashes! Please fix. This is a lot of money to pay for nothing!! Such a great app for my kids, please make more of the series, looking forward to collecting all. I just downloaded for use in my classroom, but the sound does not work. Please fix! Very interactive and my daughter really followed along with the narrator. Daughter loved the app but was only book. My son loved coloring the coral, observing the plankton and making waves with his fingers! This is great. I love it. I would like to see this format for all of the Magic School Bus series. More, more, please! Bought for my 5 yr old daughter. She loves it, and so do I. Fun and educational story and lots of content for her to click on. 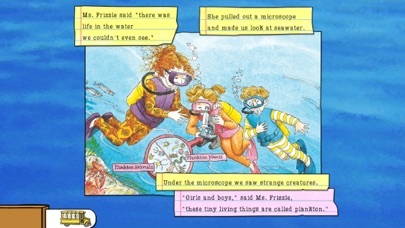 I hope Scholastic will come out with more of the Magic Schoolbus series for the iPAD. I would buy the whole set. We have a few of these in regular book form, but the format of the books is even nicer on the iPAD. I will admit I am not a computer kinda girl....I called in my Tech guy to check the memory on my iPad. I have plenty. I had him re boot...re try and re load......it still does not work. I have grand kids and bought this app for them. I really want it to work. I am not a complainer by nature but this drives me crazy. The less expensive apps that my grand kids enjoy work fine. What else can I do? I love this book! My six year old watches and interacts with this app all the time!!! It has so much interactive content that is educational and fun. He is learning without knowing it!!! I wish you would come out with more of these books! I will buy them all!! My 5 year old loves learning about the ocean and sea life. I have been looking for an educational app that had some depth to it. This app is it. I don't know why there are so few apps that are similar in content to an Eyewitness book only interactive, but this one is the closest I have found. I just downloaded this for a car trip and the audio does not work. I am extremely dissatisfied since I was hoping for some entertainment for my kids on a long drive. It works and it is great! Thanks for the update! It works and my grand kids love it!! This is our four year old's favorite app and I also enjoy it. 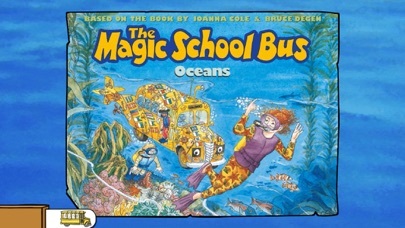 It isn't cheesy like some kids apps and is filled with facts, photographs and videos about the ocean. It even has a few interactive activities and a game at the end. It has brought my son and the children I babysit many hours of enjoyment. 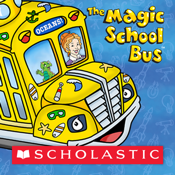 We highly recommend it and would love to see more Magic School Bus apps! Favorite app- so much to do! 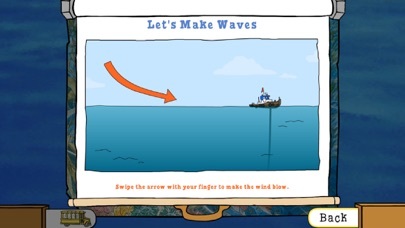 I have a lot educational books and games for my kids on CD-Rom -- but this app is better! It has just as much to do and $7.99 is less than half the price of most CD-Roms. There's tons to do and the kids play it over and over- (they can listen to and read the story, hunt for the videos of animals, and then play the games). This is the best kids app I’ve seen. 5 stars! Tried to install the update and the whole program froze up. It won't install. It says it is installing but it isn't't and it has been like that for 5 hours. Great to see MSB updated and available again. I thought the old Mac OS 9 version was the last I'd see of MSB, but it is now better than ever and takes advantage of the new technology very well. The highlighted words help my young son with his reading and the interactivity makes it a joy to use. Love the app but wish you could reset the game counter. Great app. No sound problems. Occupied my 3.5 year old for 2 hours, and most of it was over his head. My 5 year old is going to love it! More please! My son used to love this app, but recently the audio has stopped working. I can still read the story to him myself, but we both liked the auto-read feature and the sound effects. Please fix this bug so we can enjoy this interactive book again. My 3.5 son loves this app! It's very educational and fun! I have no problem at all with the sound. Five star app, totally worth it. I down loaded the application and after several re-loads I still can not get the application to work. This app is great! My nieces not only loved the story, but they were entertained by all of the interactivity of the app as well. Especially the videos of the animals and the wave making! There was plenty for them to do and learn. Not only did they enjoy it, but I enjoyed going through it with them. It was a lot of fun and a great, educational way to spend time with my nieces. 5 stars for sure. I was impressed with the interactivity of this book app. As a teacher I think it's great that companies like Scholastic are using the iPad platform as a learning tool and not just for entertainment. I would recommend this for other teachers or parents. This app helps make science fun! There is nothing wrong with this book....but there is also nothing special about it either. If you are a fan of the show and books, then you will be irritated at the price of this app...which lacks creativity and activities. It could have been great and it just isn't. It should be half the price or less....I can't believe I paid $8 for this!